Committee for Children (CFC) has been working for over 37 years to help children everywhere thrive. They are pioneers in their field, best known for their social-emotional learning (SEL) programs that help students learn the skills they need for success in school and in life. The new Second Step Middle School Program is a new take on SEL – a web-based, easy-to-teach curriculum that addresses the unique challenges of early adolescence and resonates with students and teachers alike. This launch was high stakes. Standard in the world of educational publishing, it had been years since the last edition of the middle school program. They faced immense pressure to design a research-based program that meaningfully addressed issues middle schoolers have always faced. One that tackled new challenges in a digital-first world. And could fulfill their role as trailblazers. We needed to communicate this was a product only CFC could provide. We wanted the campaign to be straightforward, confident, and grab the attention of an audience that works tirelessly every day to improve the lives of all students. 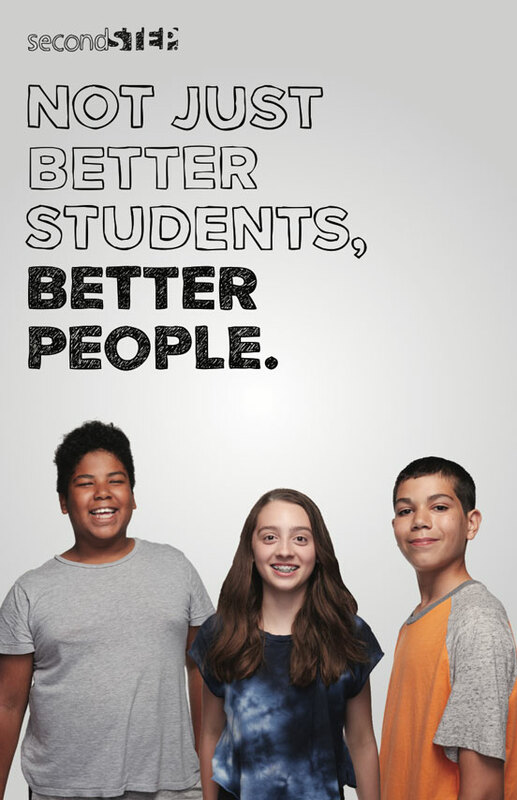 Our campaign, “Not Just Better Students, Better People”, is proving to be the answer. Using the program as our muse, we produced traditional paid media and created an emotional launch video that gave students a chance to express themselves and a platform for connecting with their peers and educators.